Air-tight storage of herbs and oils is essential for their preservation, but also to prevent odors from escaping. 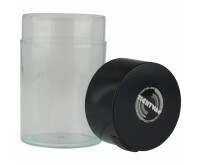 TightVac's air-tight storage box allows you to preserve your herbs or marijuana longer. 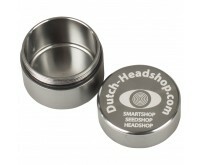 To store your marijuana, hashish or other herbs, you are at the right place at the Dutch-Headshop. Here you will find handy and nice products for easy storing of your smoking supplies. Don't look any further to store your cannabis, hash, joints or herbs. At the Dutch-Headshop you have an extensive choice of storage boxes. Think of storage boxes, roll boxes, bottles and joint tubes. 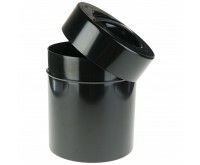 All storage products are very suitable to store you smoking products long and fresh. The importance of storage is often underestimated. Especially on the go, it is crucial your cannabis or other herbs stay fresh and well-stored. Nobody wants a broken joint, or lose marijuana from a pocket. 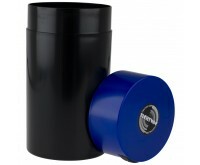 A joint sleeve, storage box or zipper bag is therefore essential for every smoker. TightVac storage boxes are beautiful and perfect storage systems for your herbs. They are airtight, so the contents are properly protected against light and water. Furthermore, the TightVac ensures odors won't be released, which is an extra advantage compared to zipper bags. 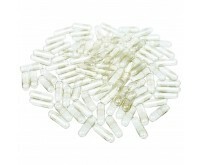 TightVac storage tubes are available in nine different sizes. Listed below are all sizes, from small to big. Kulu has many products suitable for storing herbs. The TightVac storage boxes are from Kulu and the brand also several other products. The Partypac storage sleeve and the Kulu's click-clack storage box are ideal storage boxes for on the go. Apart from Kulu, Kavatza has very nice storage products as well. Kavatza is market leader in storage products for smoking supplies. Kavatza's storage products are made of high-quality and durable materials such as wood and leather. Kavatza also has luxury wooden joint roll boxes and very nice looking joint rollers pouches made of leather. These products have nice tools to quickly arm your joint. 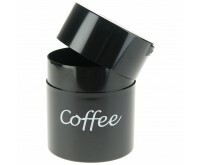 Storage products are indispensable for every smoker. Therefore, order them quickly and easily at the Dutch-Headshop.